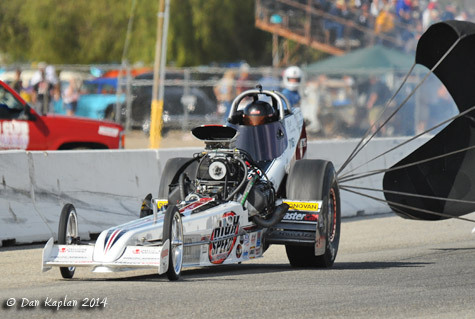 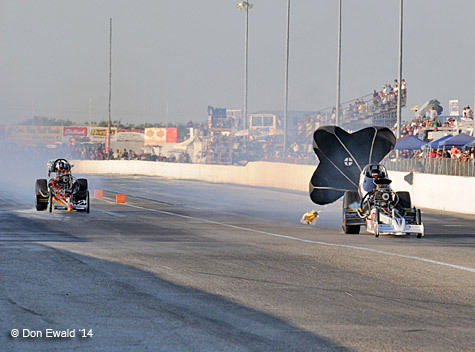 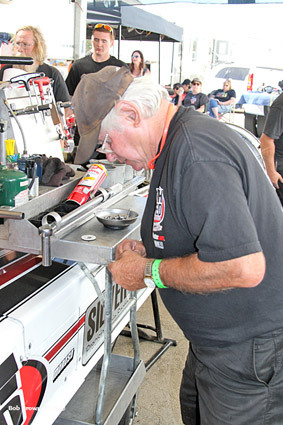 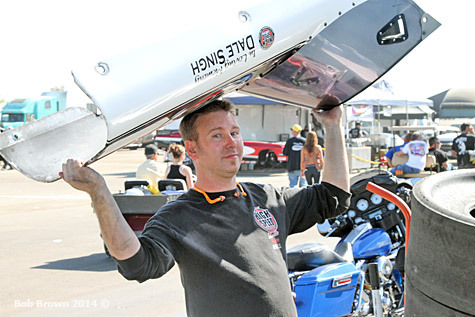 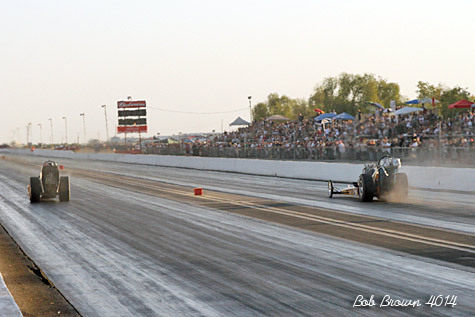 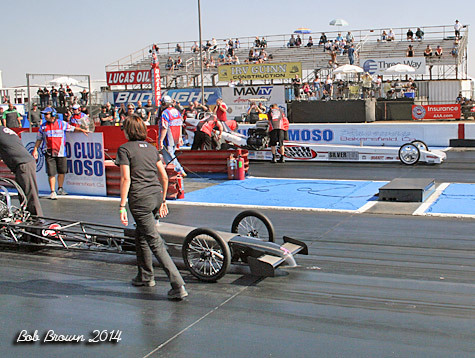 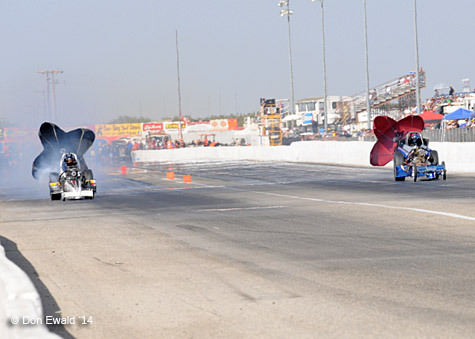 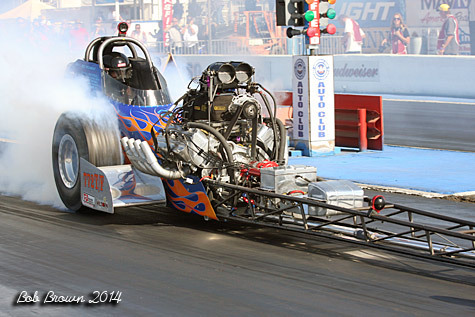 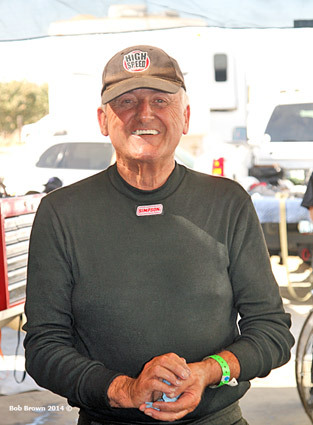 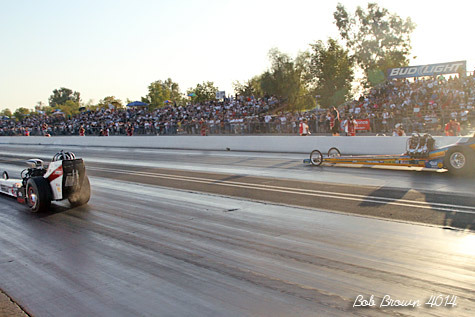 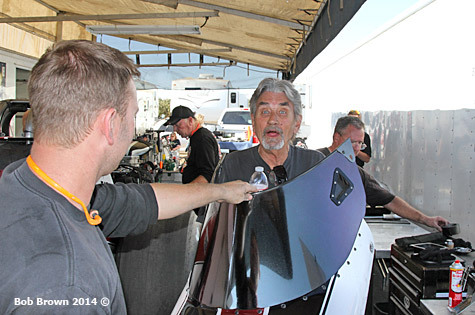 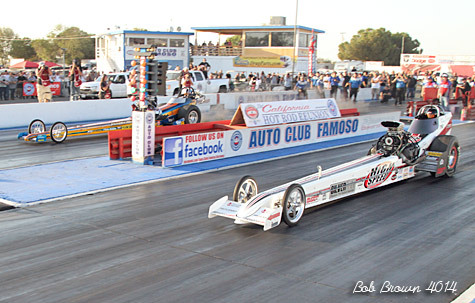 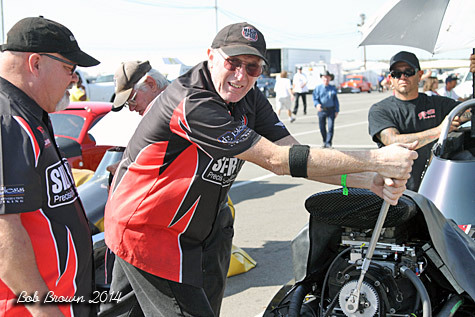 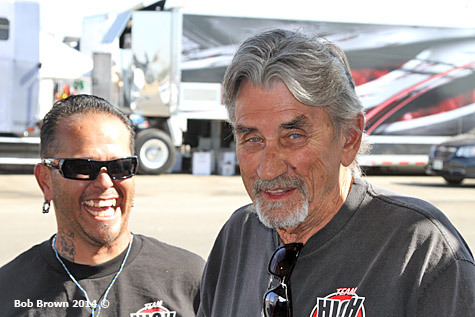 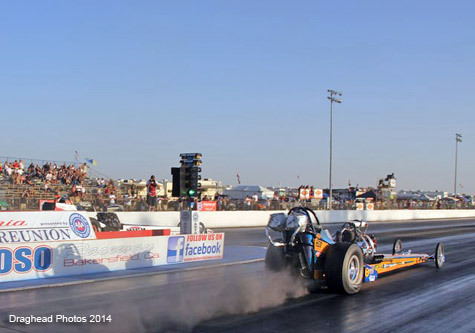 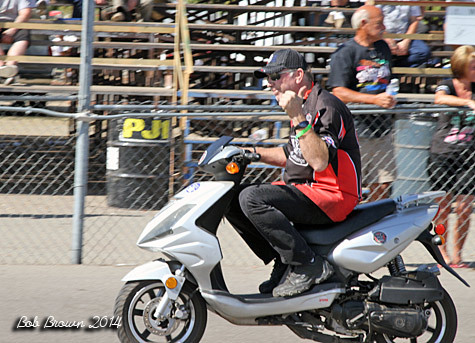 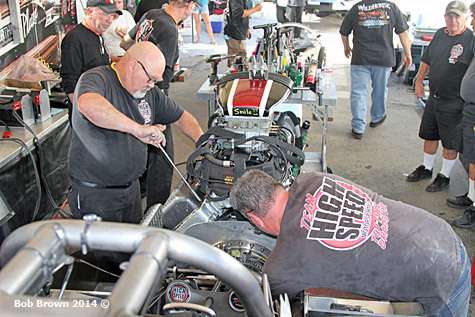 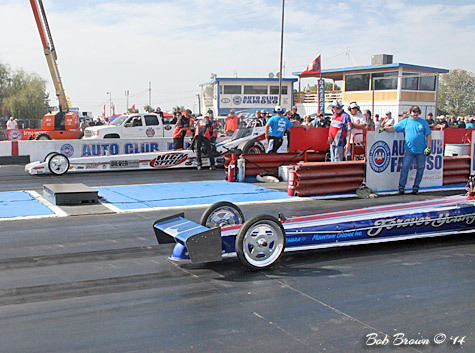 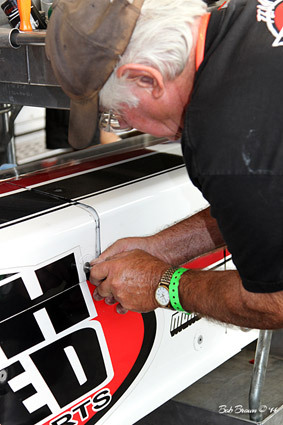 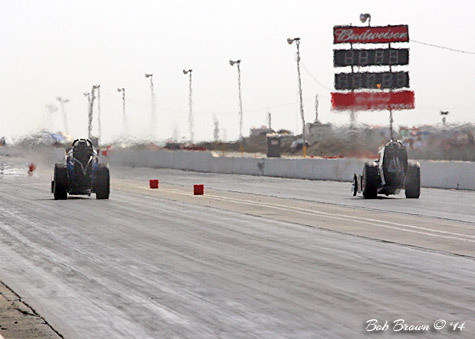 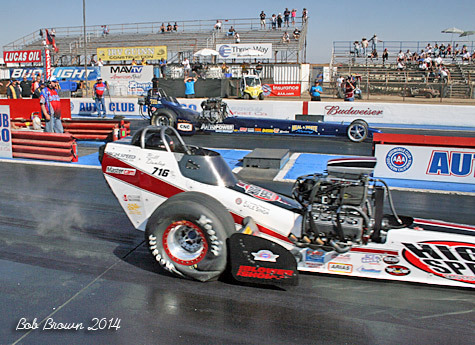 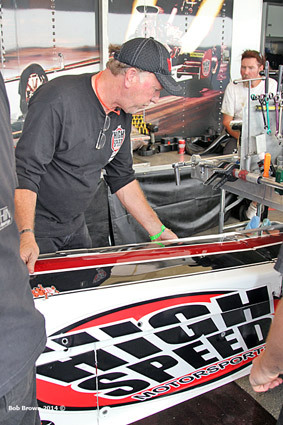 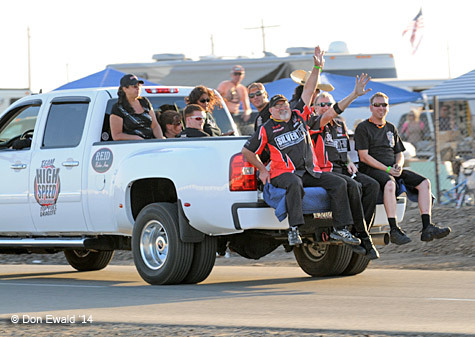 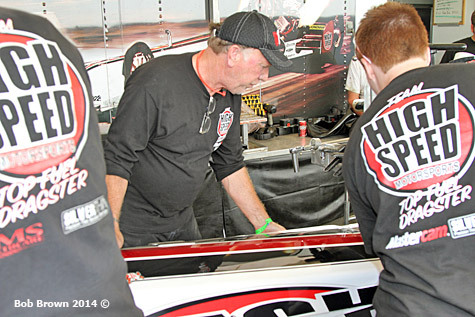 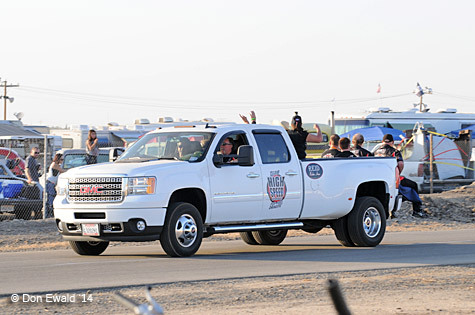 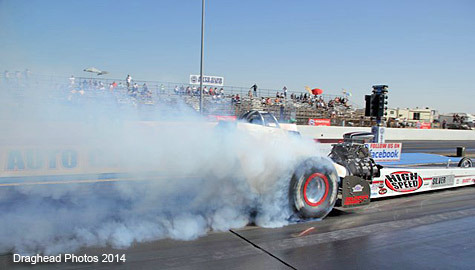 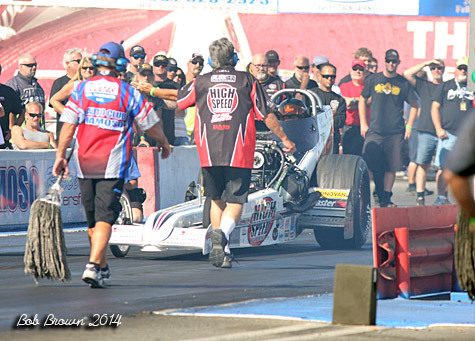 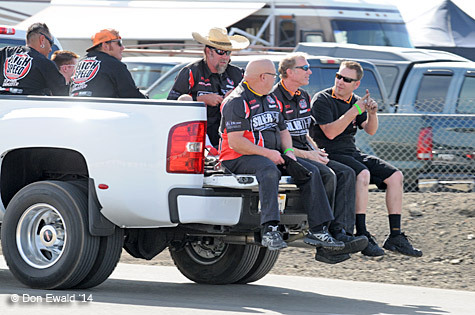 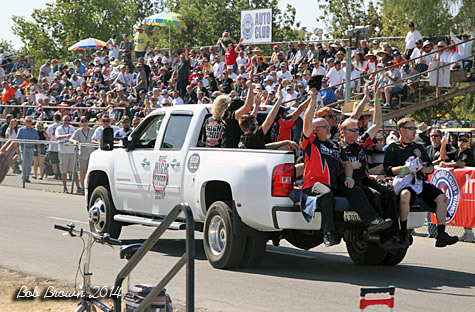 Bakersfield, CA - 10/20/14: The 23rd edition of the California Hot Rod Reunion is in the books and some on-track issues aside, it lived up to its rock star billing. 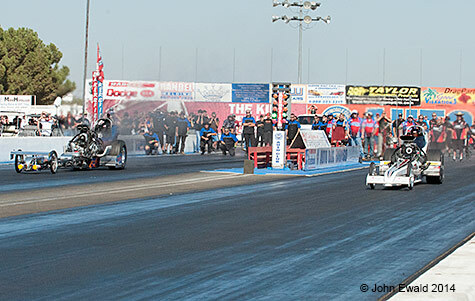 The weekend featured Chamber of Commerce weather and a race track second to none. 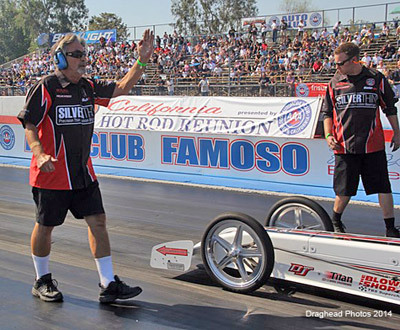 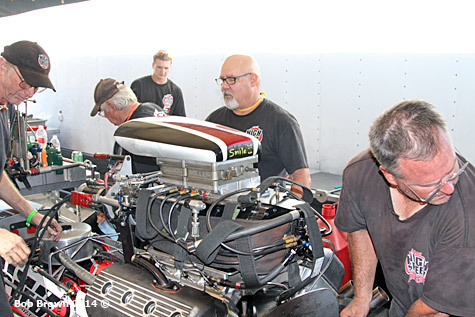 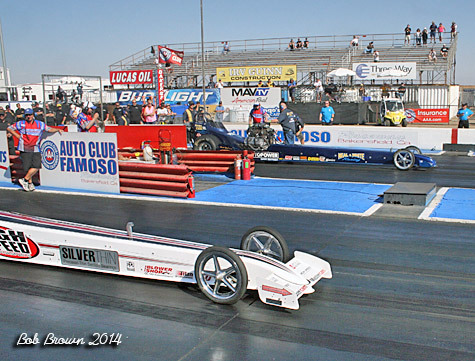 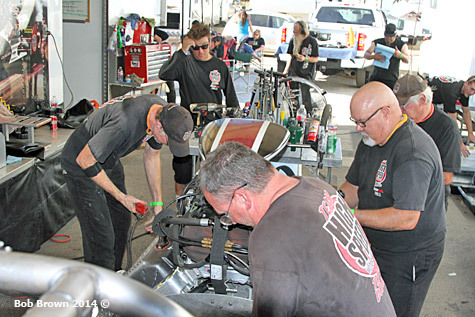 There was no doubt that Auto Club Famoso Raceway operators Blake and John Bowser had their facility ready for what was one of the largest CHRR's ever. 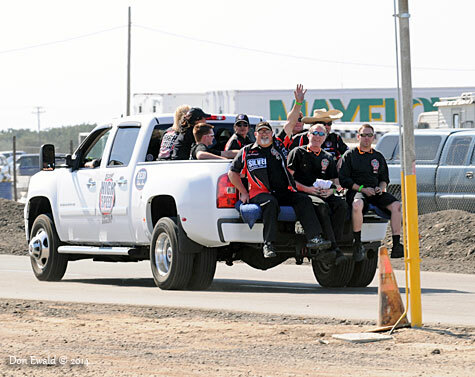 Add to that the hard working folks from the Wally Parks Motorsports Museum and the crew at Famoso insured those in attendance enjoyed 3 full days of great racing. 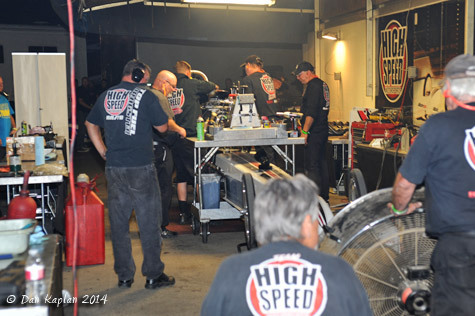 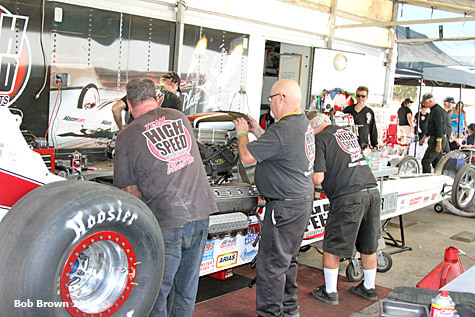 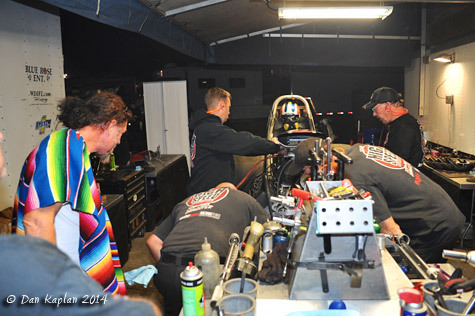 For the High Speed Motorsports team it was their last chance of the season to see if all the testing they did paid off. 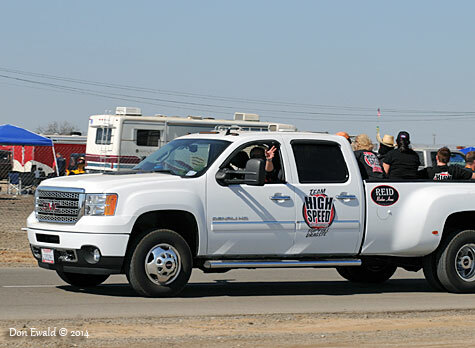 HSMS C.O.O. 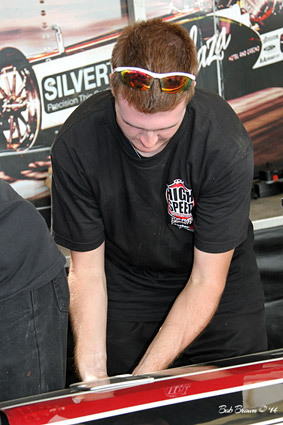 and Manager Tom Shelar had high hopes that changes made as a result of the testing would redeem a couple of previous disappointing outings. 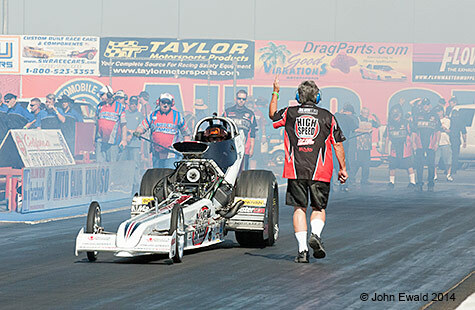 At the end of the day, the effort paid off in spades including a career best ET for Bill Dunlap and a trip to the semi-finals. 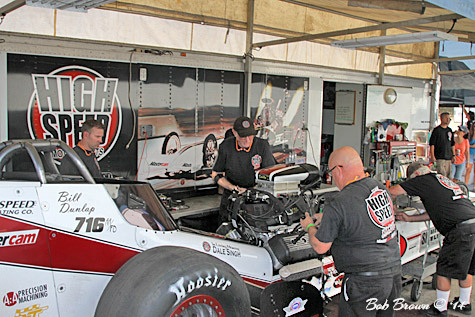 For the first of only two qualifying sessions, Bill Dunlap in the High Speed Motorsports entry (aka Great White) and Ron August in Mike Fuller's "Forever Young". 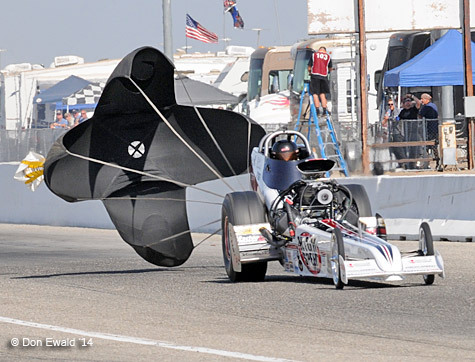 Dunlap had a strong leave on what was a planned 900' pass. 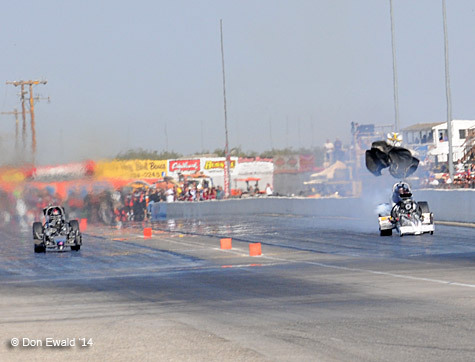 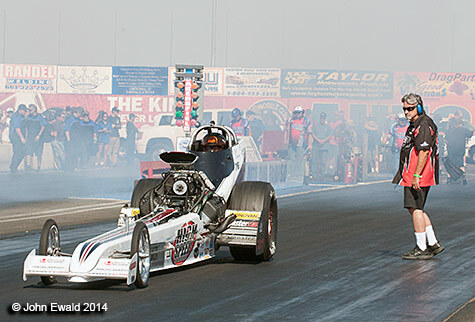 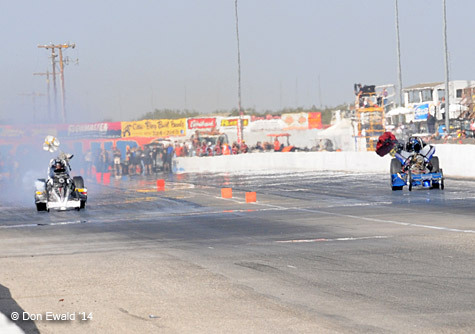 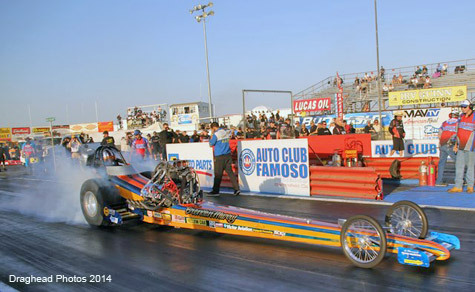 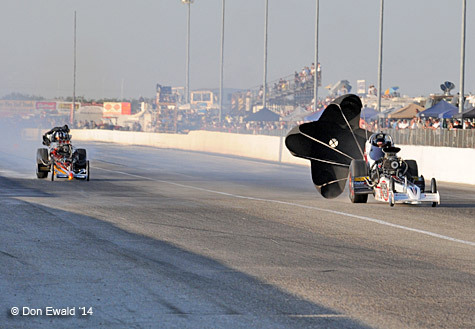 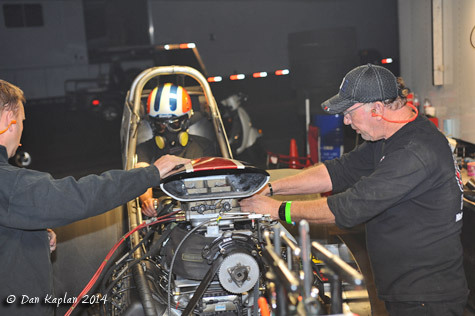 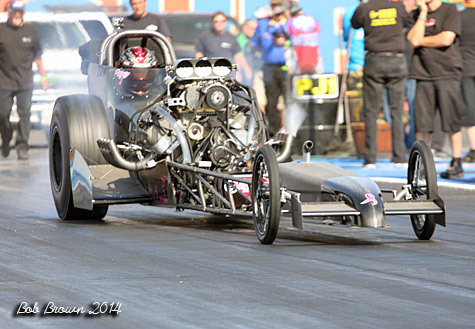 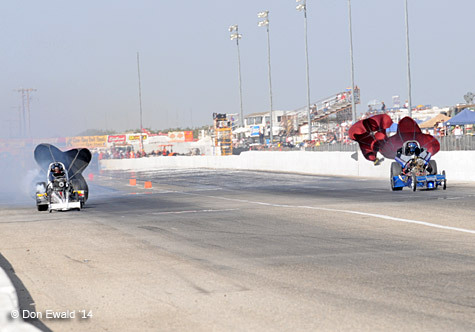 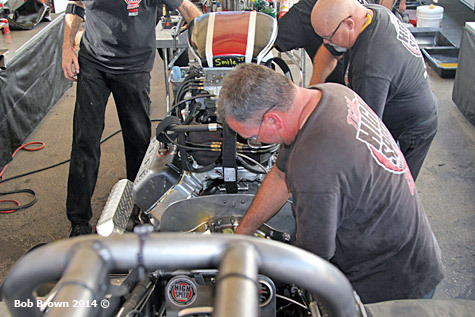 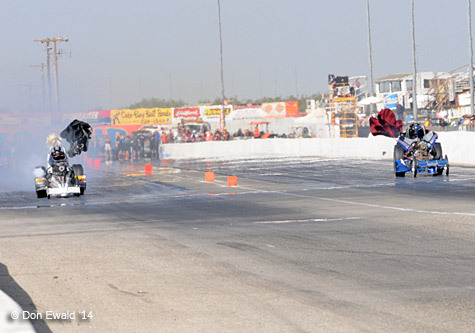 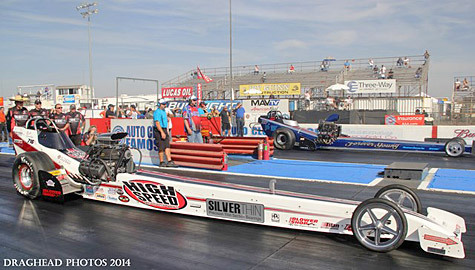 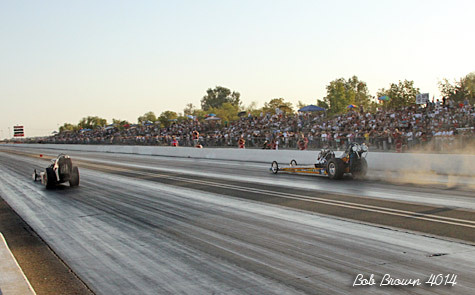 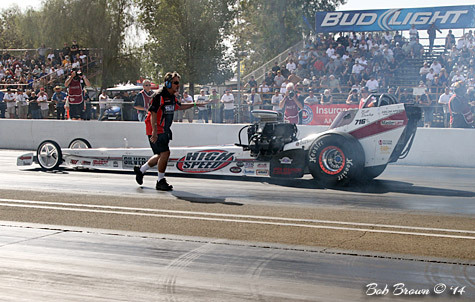 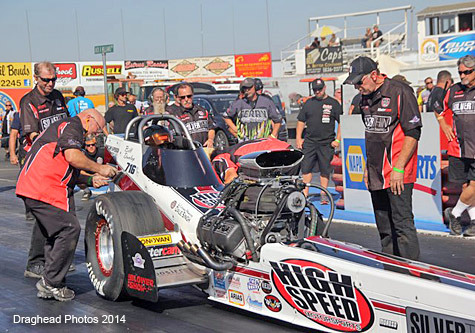 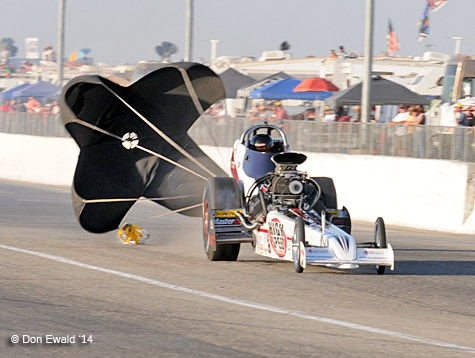 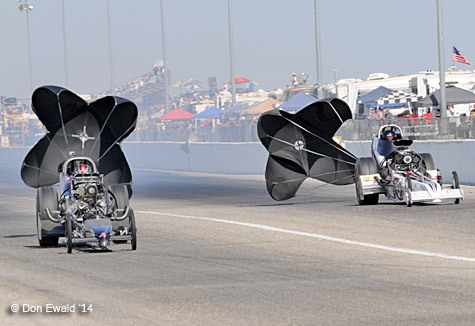 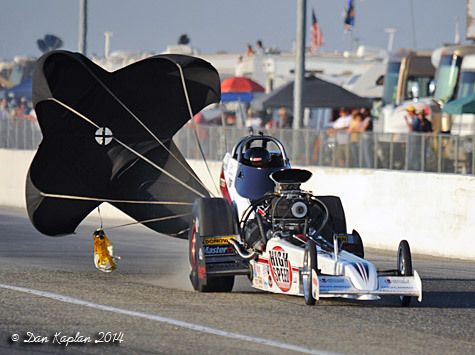 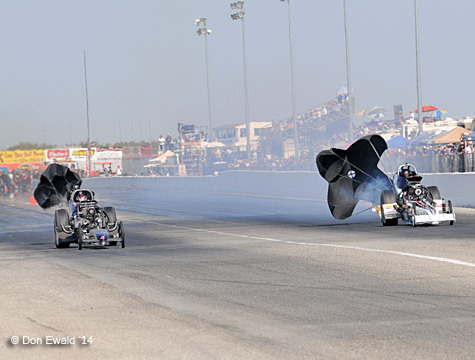 Dunlap's abbreviated run netted a 5.922 at 202.48 while August also shut off early to a 5.974 at 211.03. 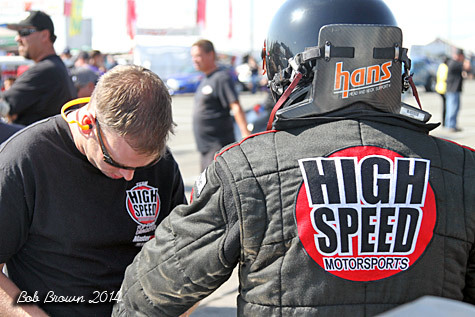 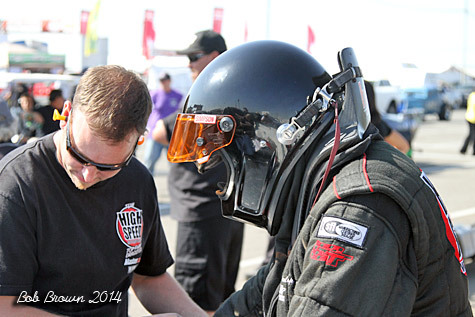 Team Leader, clutch master and test driver Sean Bellemeur helps Dunlap get "suited up" in the staging lanes. 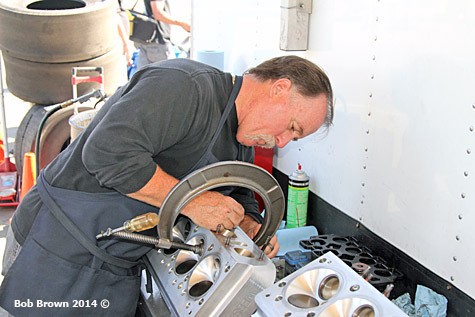 Car Chief Rick Shelar backing down the engine. 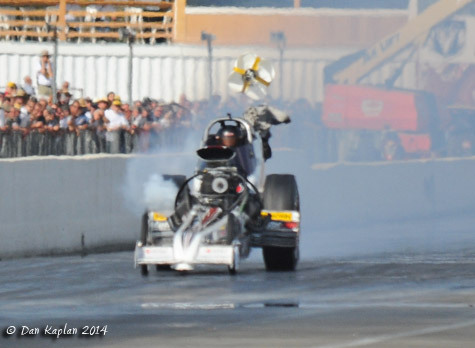 This is done to insure that there is no residual nitro in the cylinders that could lead to a back fire at start-up. 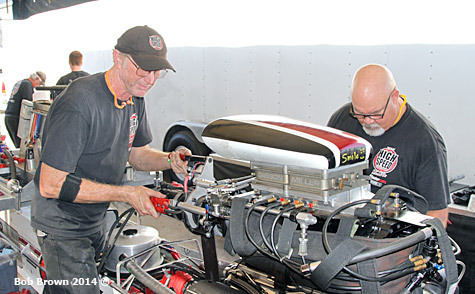 Leading off session two was Bill Dunlap and Denver Schutz. 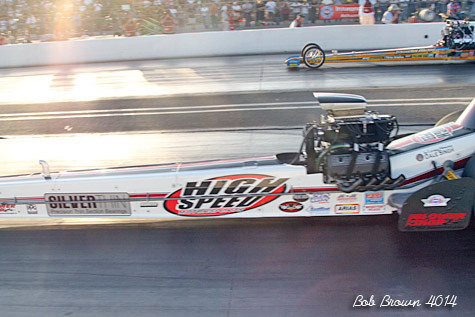 As can be seen here, Dunlap shut off at the 1000' mark and still ran a career best (to that time) 5.775 at just 204.60 - good enough for the #3 spot. 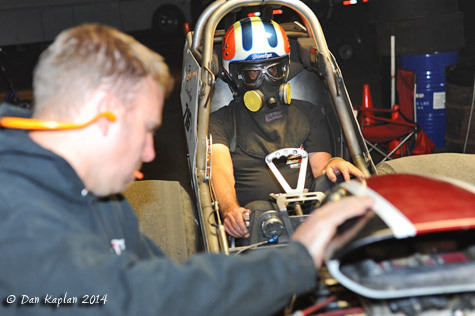 Schutz was right there with a 5.806 at 232.11. 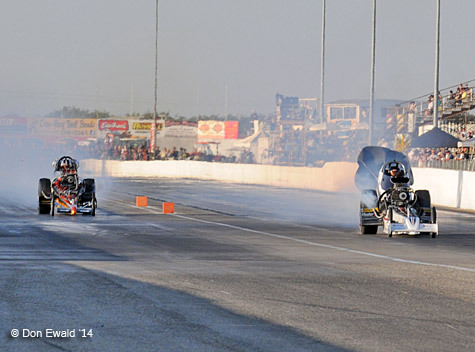 Dunlap left first by a tenth and never looked back. 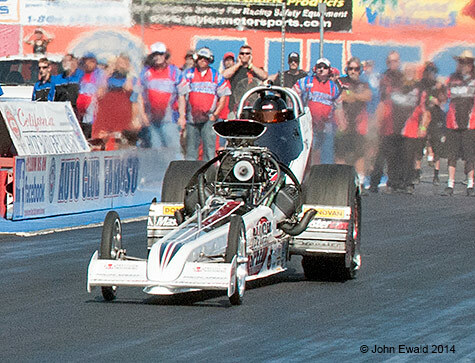 This was all Dunlap as he carded another career best time, 5.764 at just 224.14 while Murry clicked it early to a 6.144 at 182.72. 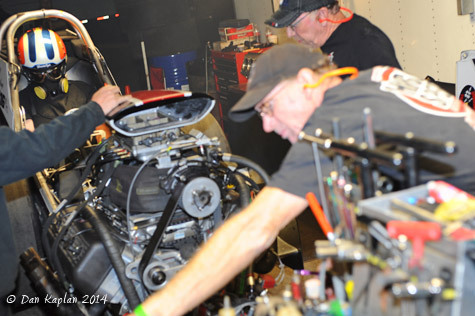 After the car was serviced the guys warmed the engine insuring it was ready for round two on Sunday. 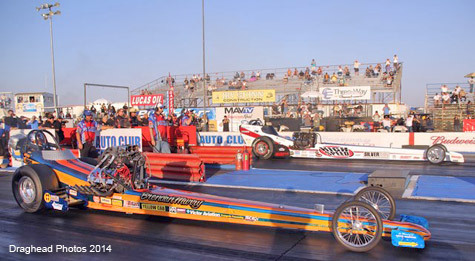 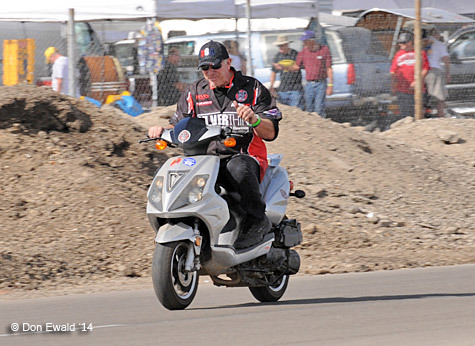 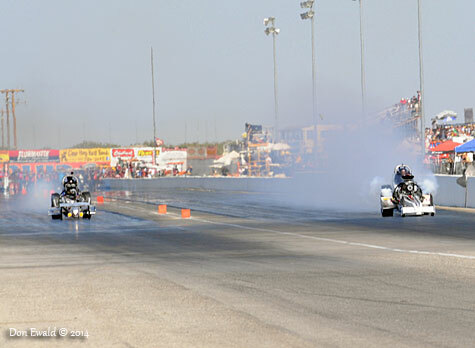 Following the pre-race ceremonies, Dunlap had to get past Rick Williamson to move on to the semi finals. 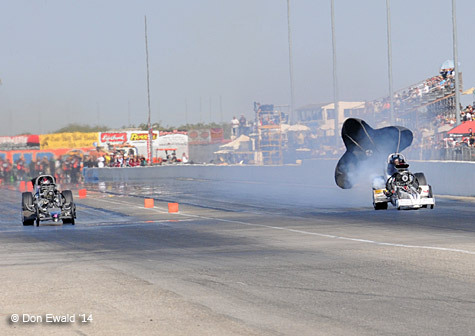 Dunlap had been on the tree all weekend and was again here leaving Williamson to play catch-up. 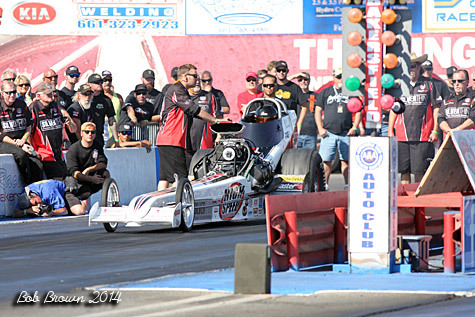 Great White was looking like a bracket car scoring a 5.770 at 226.39 win for Dunlap. 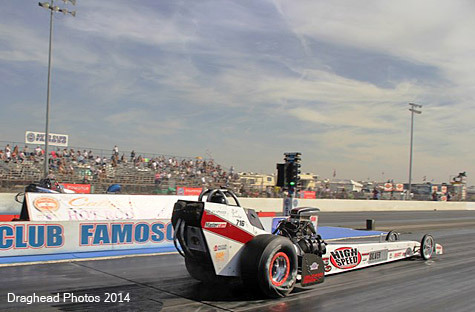 Williamson, hopelessly beaten, shut off early to a 6.082 at 196.96. 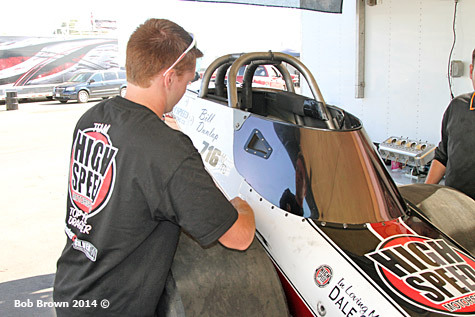 The guys buttoning up the car after the warm-up for round three. 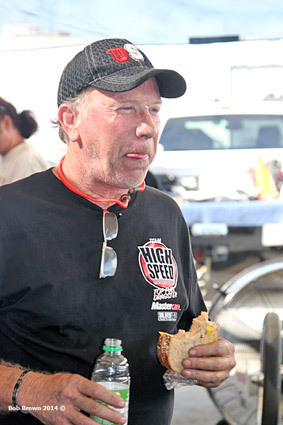 Tom enjoying a gourmet meal. 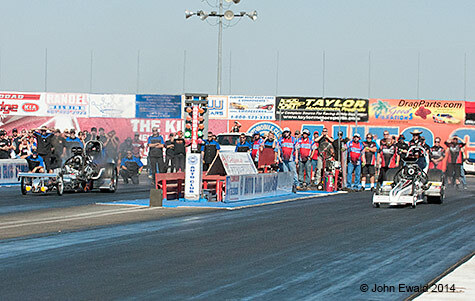 Dunlap left first again, only this time it ended his day. 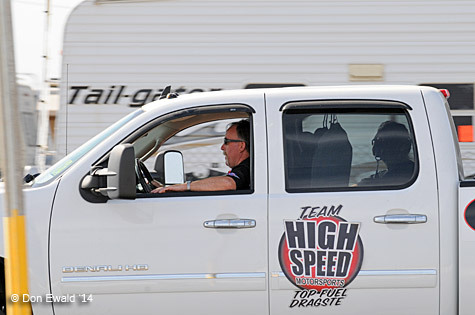 Bill grabbed an uncharacteristic red light handing the race to White. 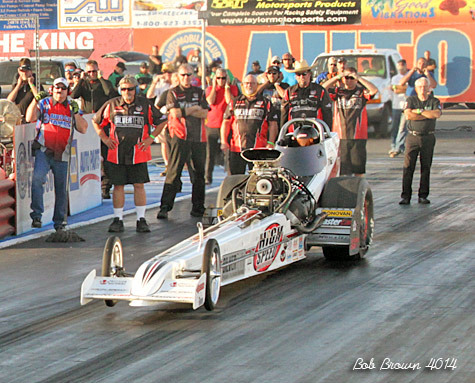 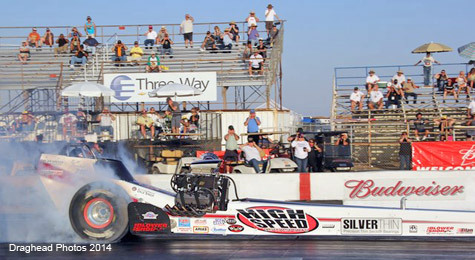 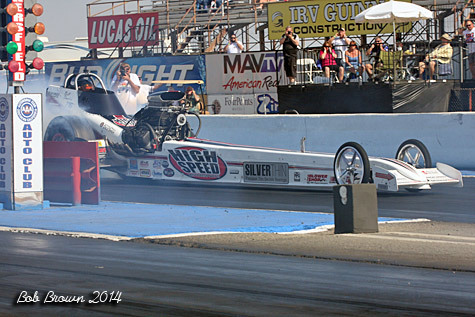 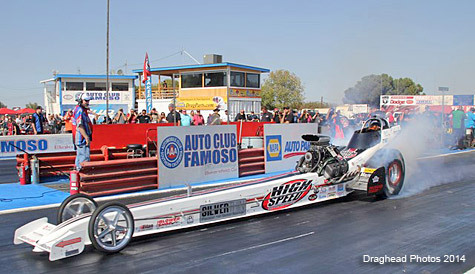 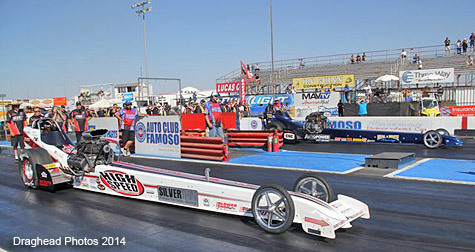 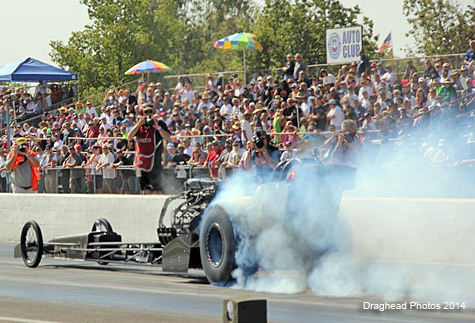 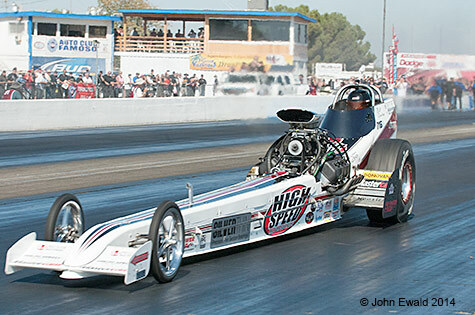 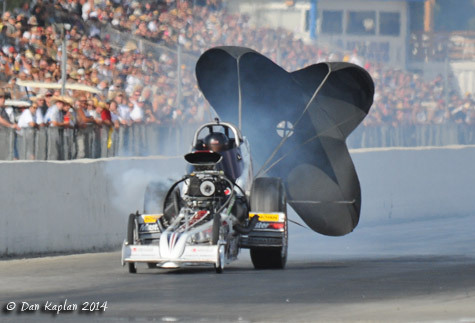 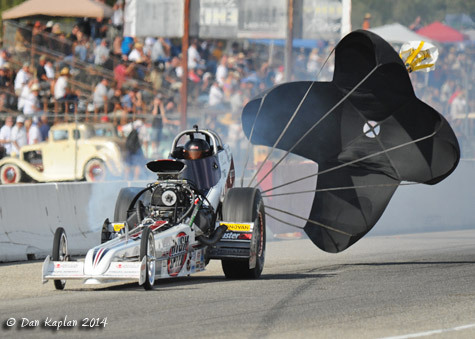 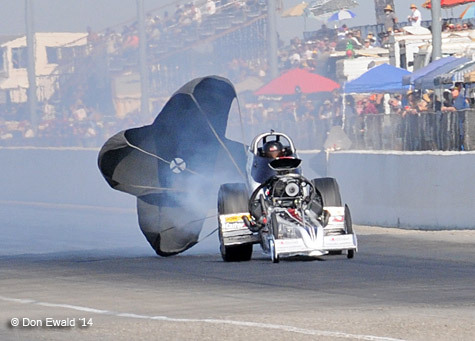 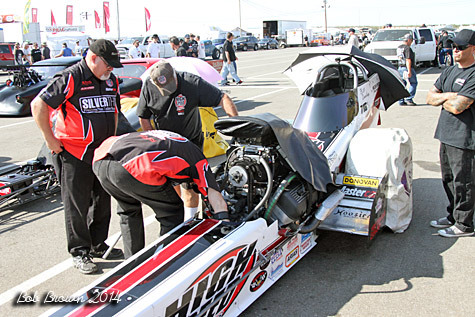 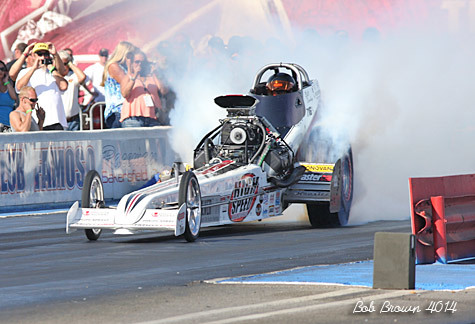 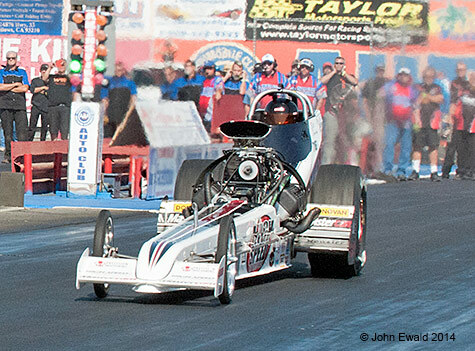 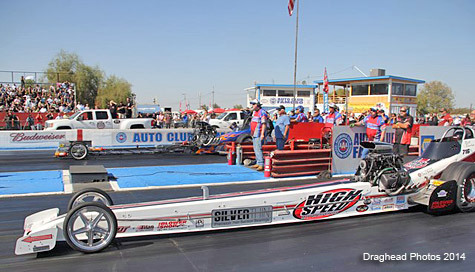 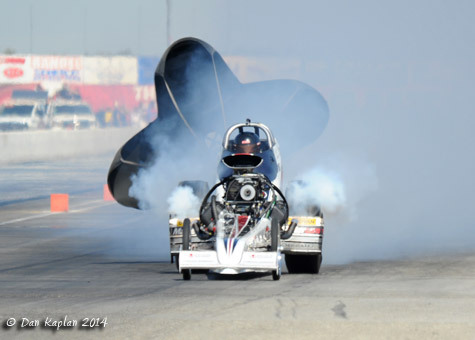 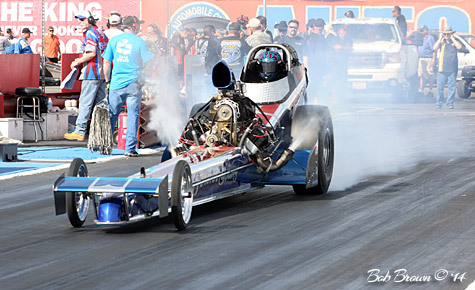 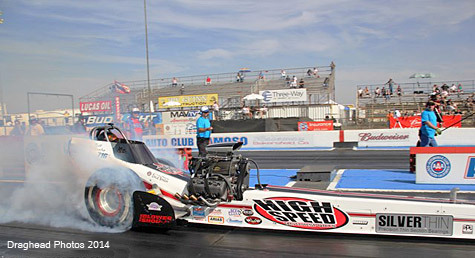 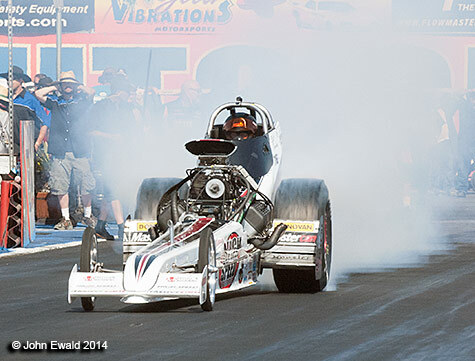 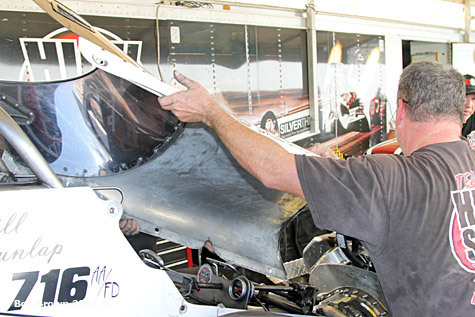 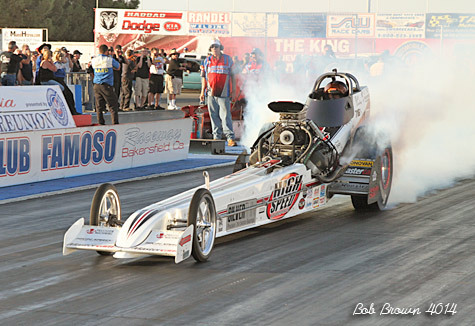 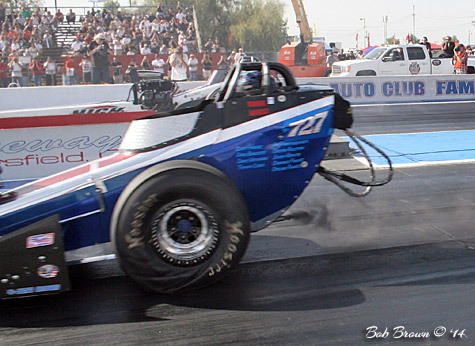 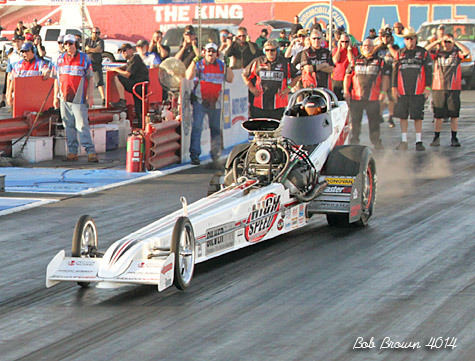 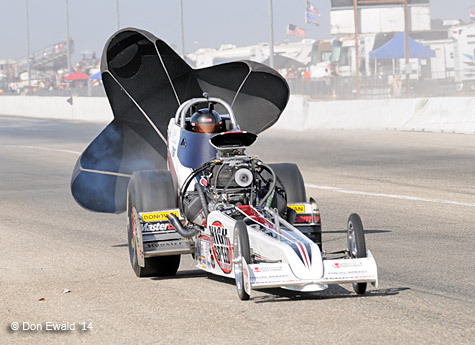 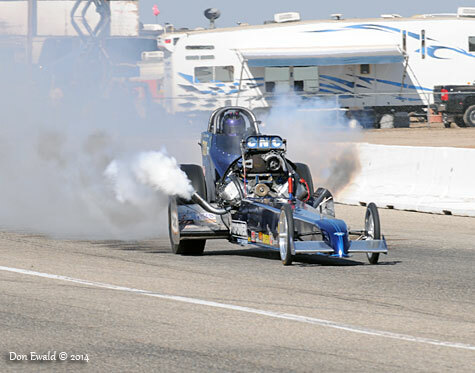 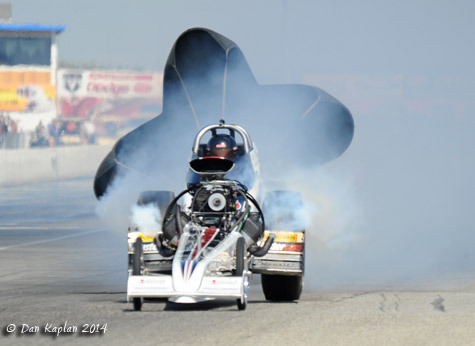 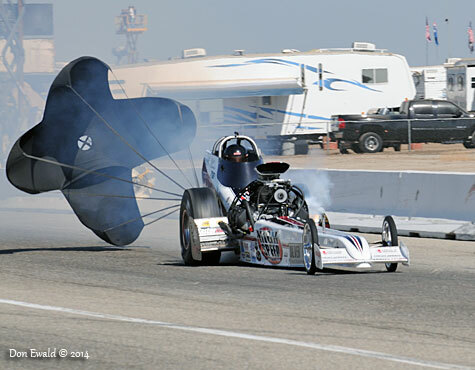 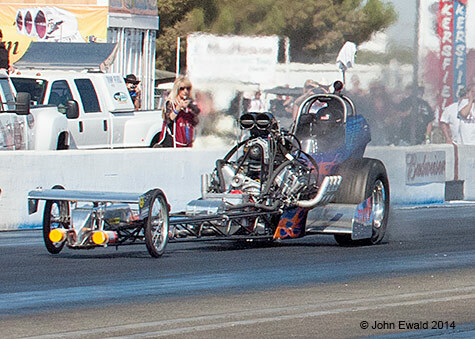 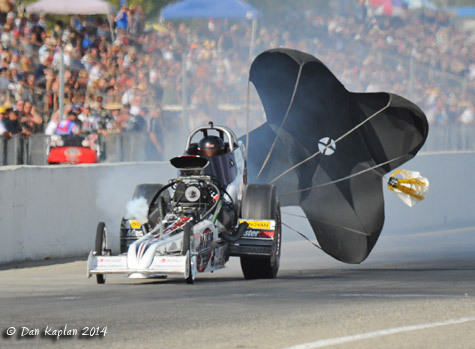 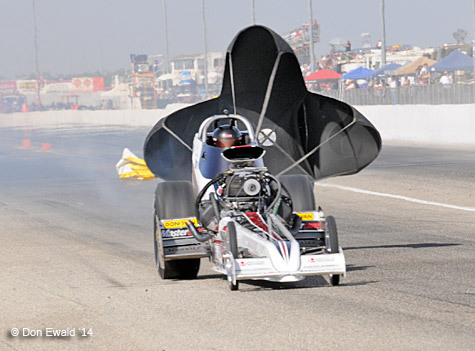 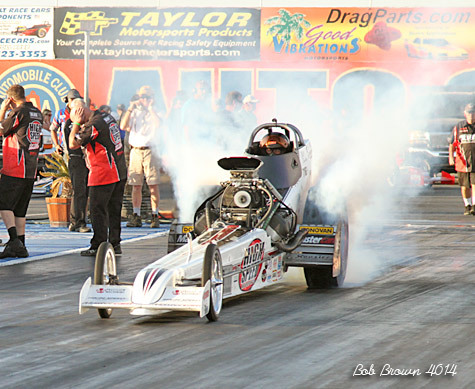 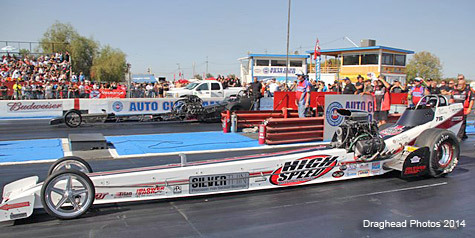 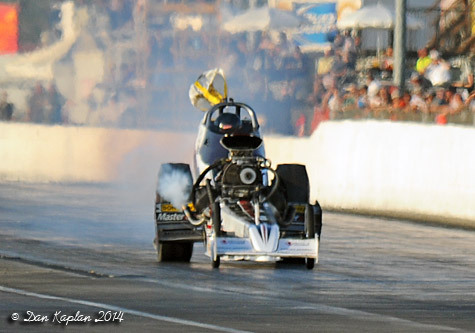 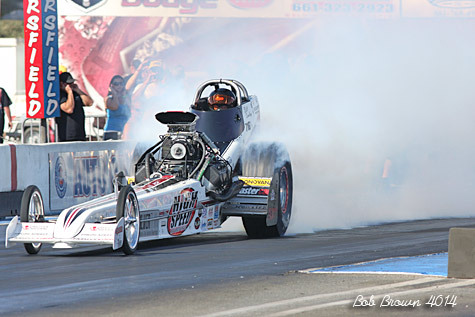 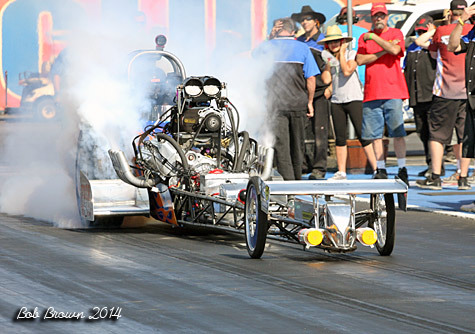 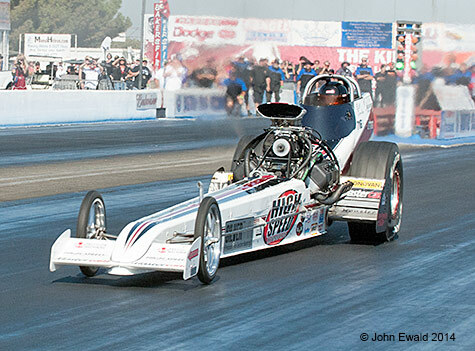 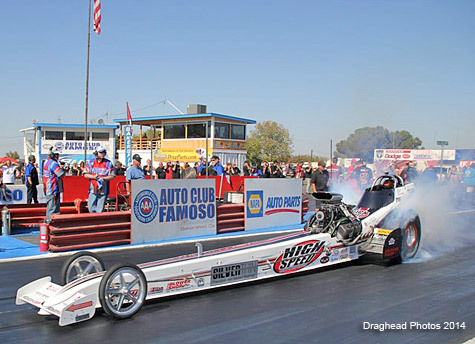 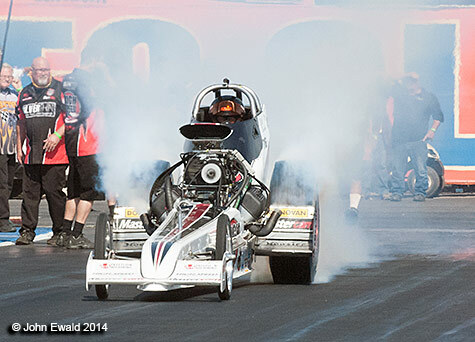 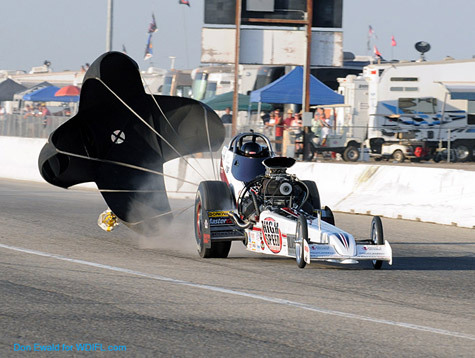 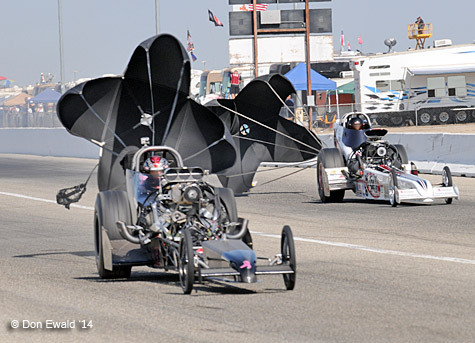 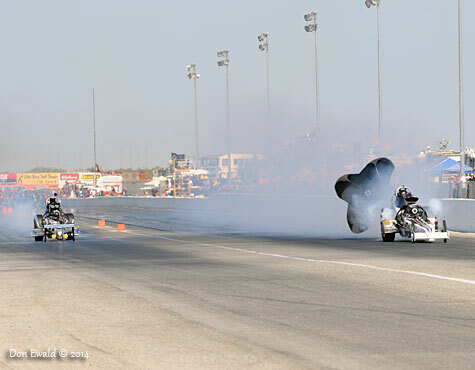 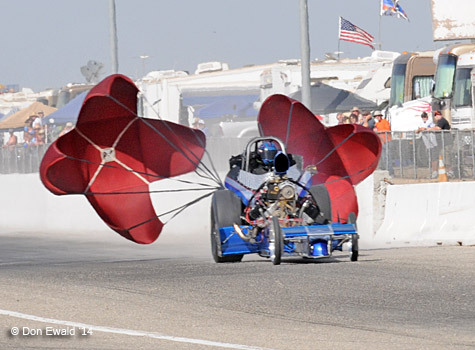 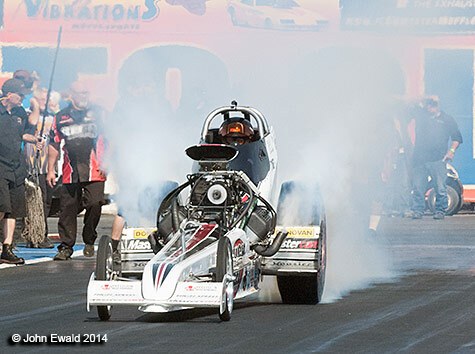 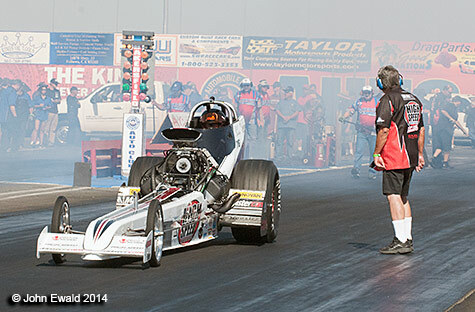 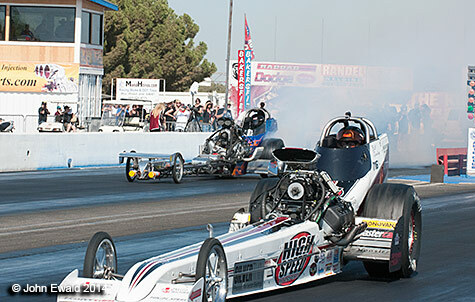 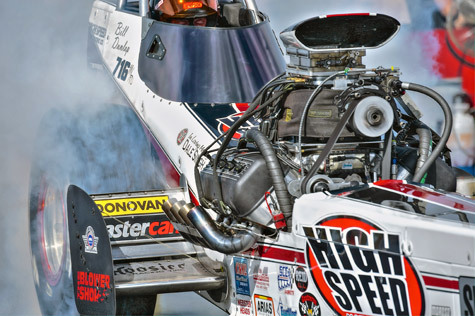 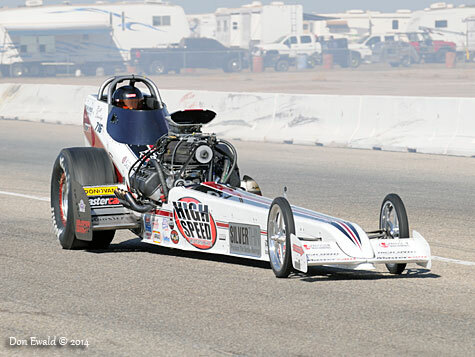 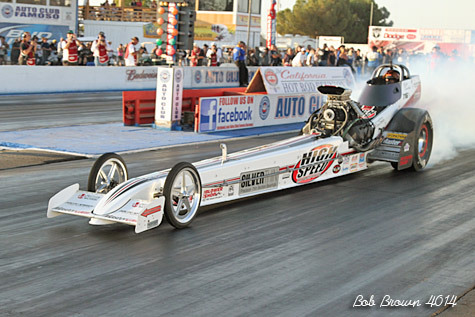 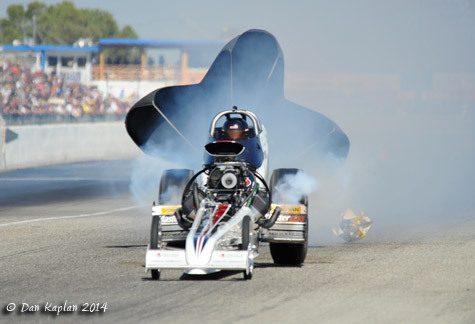 White dodged a bullet as he had a massive engine explosion and slowed to a 5.859 at 211.56. 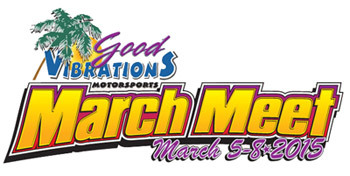 Dunlap coasted through already thinking about the March Meet. 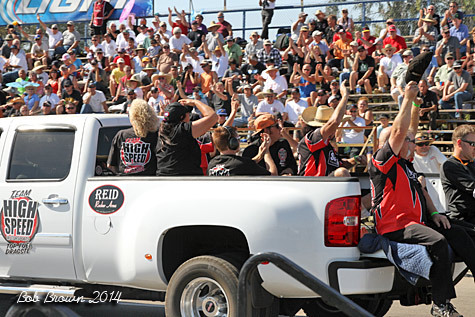 And that ends the 2014 CHRR. 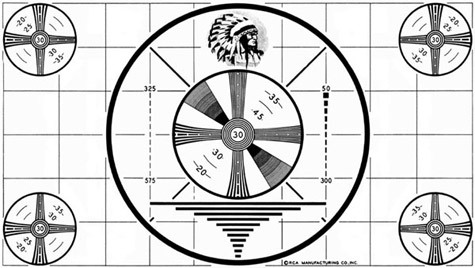 We now return you to your regular programming.